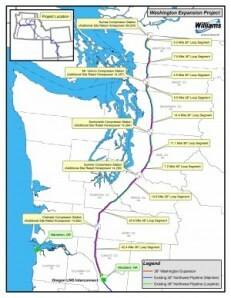 Where does Spectra’s Westcoast Energy pipeline go at the U.S. border? Spectra’s pipeline upgrade British Columbia farmers are countersuing: what happens where it ends at Sumas, Washington? Hint: who does Spectra Energy’s Sabal Trail Pipeline connect to? And if that connecting pipeline in Washington State can go down I-5, why can’t Sabal Trail go down I-75?